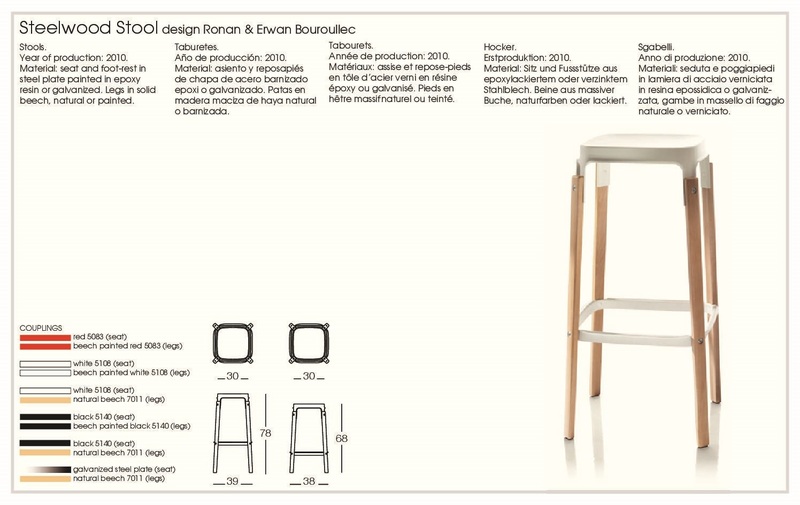 The Steelwood stool combines two traditional materials, forming a simple stool. Despite its simple form it required considerable technological research; the stamping process for the steel parts takes ten successive stamping stages in order to get the final curvature. It is also particularly popular due to its small footprint. The frame is from steel plate with legs in natural or painted solid beech. Other members of the Steelwood family include a chair, table, shelving and coat stand.